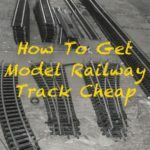 Avoid these top 5 plastic model making mistakes and improve your model making and layout construction. 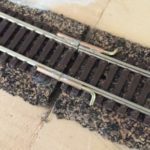 I’ve written before about the crossover between model railway builders and plastic military modelling. 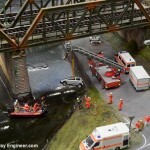 Afterall, many buildings, figures and vechicles on a model railway are of plastic construction and share the same techniques. As such, I follow a number of military modellers and their blogs, including Adrian at Tank Kingdom.com. 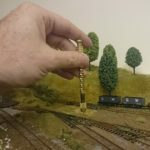 Just recently Adrian published the following helpful guide on common mistakes to avoid for plastic kit model making and which he has kindly given permission for me to reproduce here. While for experienced modelers, this is a mark of their knowledge, if you’re just starting out and working on a complex kit, try to stick to the instruction booklet. Double check before cutting and gluing the parts. Dry-fit everything (put together without gluing) to verify the proper fit and adjust if necessary. At the same time, instructions are rarely flawless, so if something looks off, try researching the kit online, maybe others pointed out the issue as well. Otherwise, reference photos are your best friend. This may sound like a no-brainer, but it’s pretty easy to miss. When building a model, the end-goal is to have a realistic result. Nothing better to spoil it than a visible seam down the barrel of a tank, or on top of a machine gun. Nasty buggers these ones. 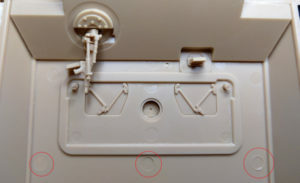 Notice the uncleaned seam-line at the top and the sprue knub at the bottom. What’s a seam line, you may ask. Well, when a sprue is molded, the two metal halves of the tooling are pressed together and hot plastic is injected between them. If the mold has been used extensively, its edges start to soften, which leaves room for a parting line, one of the most common casting defects. A sharp hobby knife usually does the trick, otherwise, a sanding stick can work wonders. Be careful when sanding round surfaces, though, as you may end up with a straight edge. Always sand in circular motions, around the curve. Also, make sure to check reference photos when cleaning-up parts. The famous Panther mantlet weld line comes to mind. Just because it looks like a parting line, it doesn’t necessarily have to be one. Pretty similar to the issue above, but the other way around. Model companies sometimes make mistakes and pieces don’t fit well, leaving a visible gap. Other times we modelers glue a part backwards and the next one just doesn’t fit properly anymore. If you’re using model cement, after applying it, you can push the parts together. This will melt the plastic and fill the gap. A small bead of molten plastic may end up on top of the join, but it can be easily scraped after drying. If the problem can’t be solved with this method, there’s always good old putty. Tamiya and Vallejo make some fantastic products. Notice the multitude of ejector pin marks on the underside of this King Tiger hull. 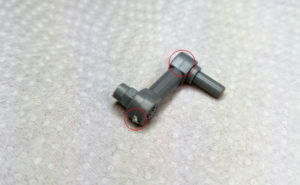 Another nasty type of gap is the result of injection molding. They’re known as “ejector pin marks”. These can be easily identified as they’re large circular recesses. Companies usually place them in hard to see areas, but depending on the way your model is displayed, they can be easily noticed. Being perfectly round certainly helps. Or doesn’t. Either way, putty is their kryptonite. Before I started modeling, the only liquid glue I could think of was superglue, or CA glue (cyanoacrylate). It’s the ideal solution for putting back together your favorite mug or mom’s fridge magnet. When it comes to model kits, though, it quickly becomes a burden, as it dries instantly, it drips all over the place, it’s hard to sand down… Enter plastic cement, the best tool for the job. What this does is, instead of creating a powerful adhesive layer, it dissolves the plastic it touches. Put two parts together, dab a little cement, and you have yourself a very strong bond, with no headache (unless you sniff at it for too long, of course). 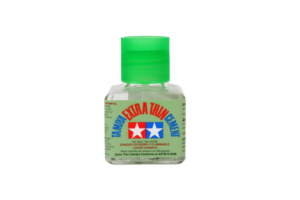 Depending on the situation, there are different types of cement (thick / thin, slow setting / quick setting), but if I were to recommend one product, I would go for Tamiya’s Extra Thin Cement. When it comes to painting a model, if your goal is to turn that ugly orange plastic into a green soviet vehicle, your instinct may be to try and get to the end-result as quickly as possible. 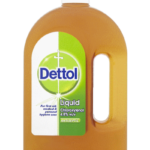 Because of this, you will be inclined to use paint as-is from the bottle, to get a quick full coverage. What this does, though, is create a blotchy and uneven surface, often times with visible brush strokes or pools of paint. To easily get around this, the recommended solution is to thin your paints accordingly until they reach a milk-like thickness. 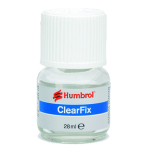 Thinning the paints can be done with water (if you’re using acrylics), or with a vast array of enamel thinners (if you’re using enamels). What I would recommend though is to check if there is a branded thinner sold by the company making the paints. It’s usually a better solution. Like with many things in life, asking and giving feedback is the cornerstone of any successful activity. 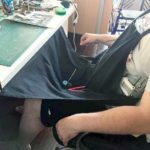 I always notice a common theme between the posts by beginners on the social media site Reddit: everybody is looking for advice on how to improve their results. No matter how much experience we accumulate, there is always a lot left to learn. 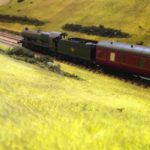 Provided you find positive communities (r/modelmakers and The Mediocre Modelers group or this site’s companion Facebook group instantly come to mind), people will go out of their way to share a lot of insight and to give you specific tips for your situation. Hopefully, these tricks will be useful in making your modeling life a bit easier and in turning your models into fantastic pieces and improve your layouts. Words and pictures (c) Tank Kingdom.com and reproduced here by kind permission.